The Park Pictures director is an avid vinyl collector, loves free jazz, and would love to work with the likes of Sampha and Kendrick Lamar. I think the best recently is This is America from Childish Gambino, by far. Great song, amazing performance, conceptually perfect. It's very well done, with a "delicate" (!!) and accurate political message. The approach is right on-point. It's very smart. As long as I can remember, Rabbit In Your Headlights by Radiohead and UNKLE in '98 was a hit. It had everything. It was a simple storytelling idea, it had a cinematic dimension, a fantastic actor, a spectacular and totally unexpected ending. The actor Denis Lavant - who I've seen in a few movies before this video such as Leo Carax's The Lovers On The Bridge - brought a social dimension to the film. It could resonate beyond the music itself. His acting and performance brought the music video to an emotional, cinematographic level. Well, it's a difficult question to answer, because there are a number of music videos I really like, and on different levels. First of all, it depends if we are talking about music, conceptual ideas, or the pure aspect of directing a music video. I think it requires something almost magical to be able to combine all of these elements to make a truly extraordinary music video. I would say… I am always looking for an emotional impact, whether it comes from music, performance, story or imagery. I am very curious by nature so I draw my inspiration from any kind of source. Music is very important to me. Much of the time it gives me a canvas for ideas, imaginary stories or particular images I want to make. A lot of very different things! I collect vinyl and I love free jazz from the late 60s to the early 80s. 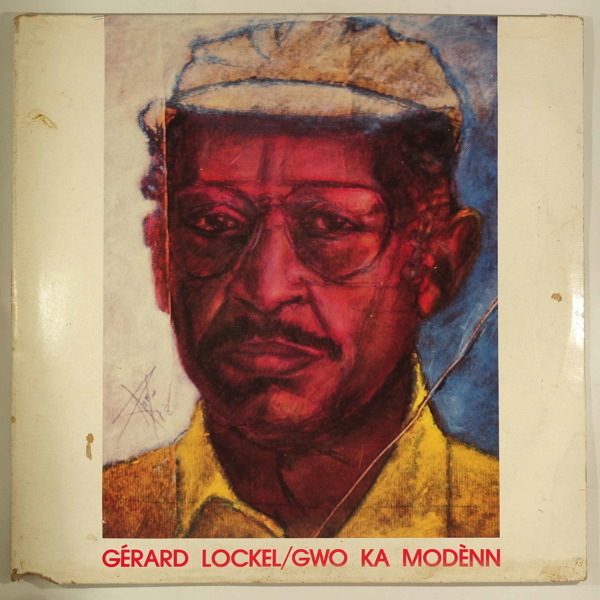 I recently found a really rare 3LP boxset by Guadeloupean musician, composer and activist Gérard Lockel called Gro Ka Modên. Check it out, his music has an incredible, visceral energy! In the mid-70s he was establishing Guadeloupean identity, a political and anti-colonialist dialogue through Gwo Ka music. Beautiful. Well, I’m in contact with a few artists but I love the work of Kamasi Washington, Shabazz Palaces, Yussef Dayes, Kelsey Lu, Sampha (in particular, the Process album), Damon Albarn, Kendrick Lamar, euh... let me know when I should stop. Music with a distinct cinematic power. That’s an interesting question... It's true, when you look back, music itself has been through a massive shift in the last decade. And music video as well. A few years ago, it was the records labels who really needed a music video to promote their artist. Suddenly, MTV gave a free platform to the labels, financed by mass-market commercials breaks. Today, I think a resurgence came from the artists themselves with the use of YouTube and Vimeo. Now, musicians are including the visual approach in their music right away, and there are an infinite number of filmmakers who wants to make music videos to express their creativity. I think the industry is a real business in different aspects. Now, even production companies understand they need great music videos to help the representation of their directors but also to establish their own aesthetic approach as a company and to position themselves on the map of a competitive market. By doing music videos, it can bring them client opportunities from car commercials, sport brands and luxury fragrances. It has become definitely more global and not as segmented as before. Unfortunately, the price to pay is to accept the conditions, and most of the time the production company needs to invest their own money and pull a lot of favours to accomplish a music video. The key for the future still will be budgets but also profits. No one knows where the streaming revenue is going. Is this where I say something funny…? Au revoir…!